Remember when BattleBots was really popular? Back in the heyday of people constructing death machines and pitting them against one another (early 2000s), developer Gabriel Entertainment made a video game based on the same premise. Now, 15 years later, the third entry in that series, Robot Arena III, will be making its debut on Steam this month. 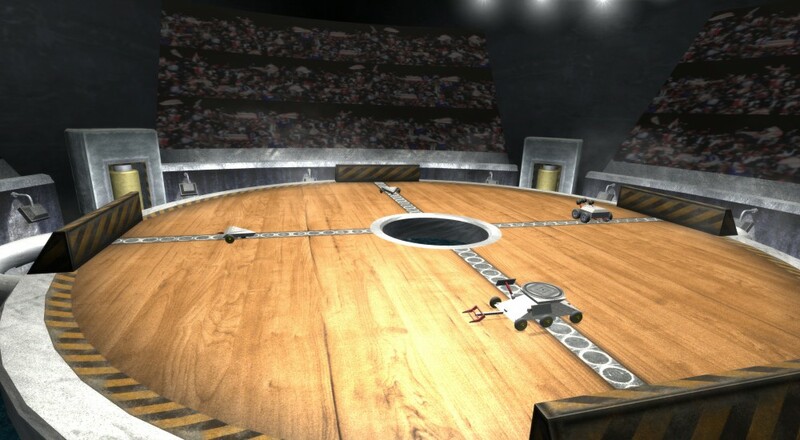 As with the previous two games, Robot Arena III lets you create your own custom robot and then put it in arena combat competitions against other bots to see which killing machine reigns supreme. You'll be able to create your chassis, add weapons to it, and then share them with others via Steam Workshop. The game will support online co-op with you and a partner facing off against two A.I. controlled bots. Robot Arena III arrives on Steam on May 26, 2016. Page created in 1.2464 seconds.